In 2013, Malaysians rejoiced to hear that the first ever Fox-branded theme park in the world was going to open at Genting Highlands. Five years later and everyone’s still waiting – except the wait turns out the be futile because now Reuters is reporting that Genting Malaysia Bhd has filed a lawsuit in the U.S. District Court in Los Angeles against Walt Disney Co. and Twenty-First Century Fox Inc. for abandoning the contract for the theme park’s construction. Genting is suing for USD1 billion dollars, stating that it had already made a “USD750 million-plus investment” in Fox World, which was supposed to have been an extension to its Resorts World Genting complex that currently houses shopping malls, hotels, concert venues, bars, clubs, restaurants and Malaysia’s only legal land-based casino. “Seller’s remorse” is reportedly the reason why Fox and Disney to breach the contract. Fox has been trying to force a renegotiation of the contract through years of delay and even hope to terminate it by issuing a default notice. Disney wants to end the contract as it does not wish for its “family-friendly” branding to be affected by its association with a gaming company. Meanwhile, Disney is still in the midst of purchasing Fox assets for USD71.3 billion, targeted to be completed by the first quarter of 2019. As for stepping foot into a Fox theme park, the world will have to wait a bit longer. 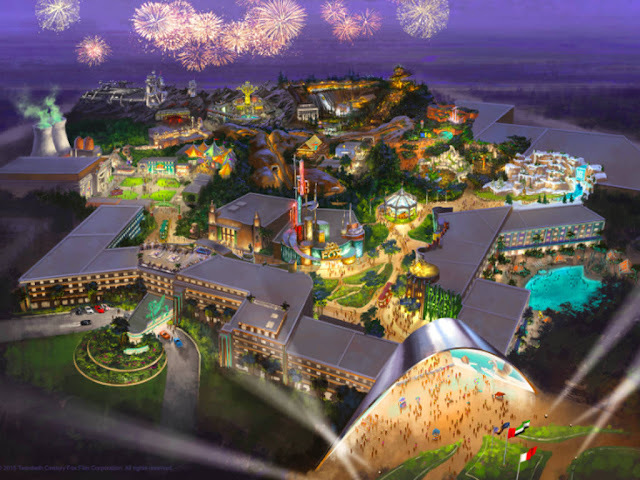 Even the one that was announced in 2015 to be built in Dubai and completed in 2020 has been put on hold since last April due to the “oversupply” of theme parks in the United Arab Emirates city.